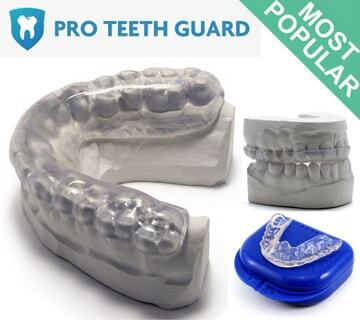 If you are new to dental mouth guards or just need help deciding which product best fits your needs, you are at the right place. 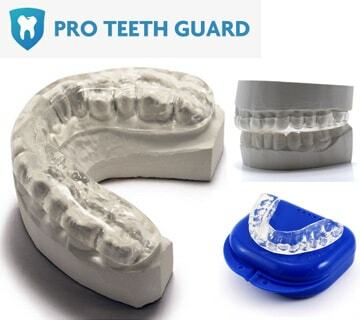 Once you have a basic understanding and enough knowledge of what dental mouth guards is all about, you can use our comparison table to make a final decision on which night guard you prefer. Our comparison table is information gathered and then summarized into important points. This hybrid custom night guard is for moderate to heavy teeth grinding. 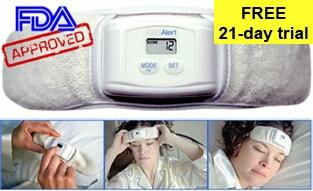 It is designed to ease jaw muscle pain and protect your teeth against grinding damage. It is made from a material called dual-laminate (approximately 2mm to 3mm thick): rigid on the outside and soft on the inside. The outer hard surface provides excellent protection while the inner soft surface ensures a comfortable fit. The night guard is durable and may be used for approximately 1 to 3 years, depending on the degree of teeth grinding. An impression kit with instructions to take your teeth impression: they take both upper & lower teeth impressions to guarantee a perfect fit for your night guard. One custom made Pro Teeth Night Guard + One Plastic case. 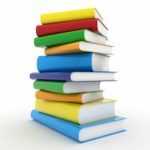 Free Shipping anywhere in the US and Canada. Coupon Code: ‘TOP10GUARD’ ($10 off the order). 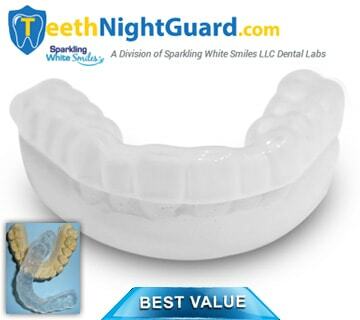 Custom Night Guard designed for moderate to severe teeth grinding/bruxism. This is their most recommended custom night guard. Strong and durable yet very comfortable. Extra durable stronger laminate material made specifically for heavier teeth grinding and clenching cases. Features an abrasion-resistant characteristic that will withstand teeth grinding better than traditional soft night guards. Thickness is 3mm. Custom made to fit your exact teeth. and not a boil and bite flimsy bulky night guard. Made with FDA approved EVA material, Latex free. 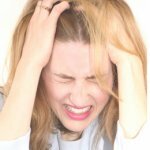 Lifespan 2-5+yrs, dependent on degree of teeth grinding and clenching (bruxism). Note: Buyer must indicate whether they are requesting an upper or a lower teeth guard. 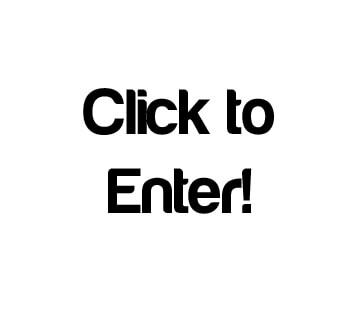 Buyer will receive a custom teeth guard mold kit (including comprehensive instructions) via regular mail and one prepaid (U.S. only) & pre-addressed mailer (if outside of U.S. buyer is responsible for return postage to lab). Within 10 days of the lab’s receipt of the mold, the lab will directly mail one (1) upper or lower custom fabricated Night Guard and one (1) Night Guard case (as selected). 100% Satisfaction Guarantee. 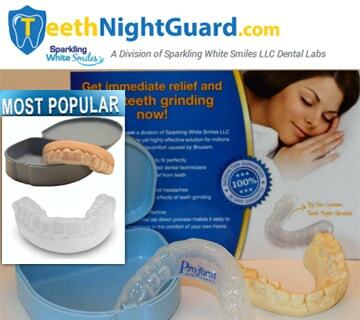 TeethNightGuard.com promises that you WILL BE 100% satisfied with any of our products. If for any reason you are not they claim they will honor a full refund or exchange. This includes any unused or used products within 30 days of the receipt of your products. Please check the details on their website. Coupon Code: ‘teeth10’ (10% OFF of the total order). 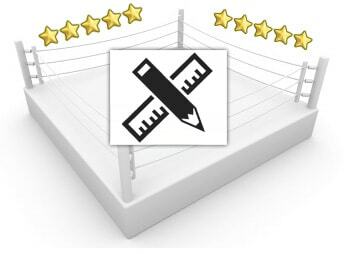 Order Additional Guards At HUGE Discounts (Up to 40% Off). 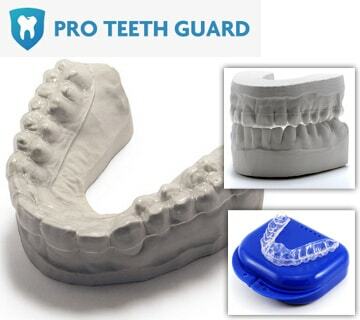 Custom Night Guard designed for moderate to severe teeth grinding/bruxism. This Night Guard is made of a hard acrylic outside for durability and a soft flexible inside for comfort. 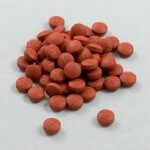 (Lifespan 2-5+yrs, dependent on degree of teeth grinding or bruxism). 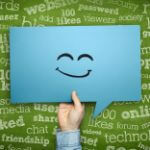 Note: Buyer must indicate whether they are requesting an upper or a lower teeth guard. This hard custom teeth night guard is for heavy to severe teeth grinding. It protects your teeth and alleviates jaw muscle aches and pains due to teeth grinding. 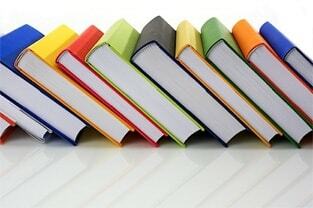 It is made from a firm, durable plastic (elasticized acrylic) approximately 2mm to 3mm in thickness. This special thermo-plastic material softens in warm water to facilitate fitting. At body temperature, the material is slightly pliant and offers a comfortable fit. 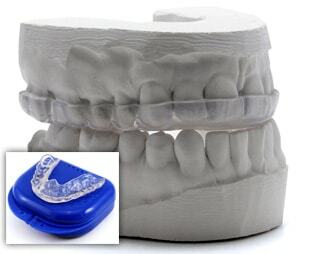 Rinse the night guard in hot water and then fit it over your teeth for a perfectly contoured fit. The night guard is durable and may be used for approximately 2 to 5 years, depending on the degree of teeth grinding. This soft custom night guard is for light to moderate teeth grinding. It protect your teeth and eases jaw muscle pain. It is also ideal for those who suffer from teeth clenching rather than grinding, since the soft material acts as a cushion for the clenching forces. It is made from a flexible, rubber material (approximately 2mm thick). 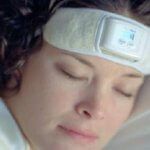 The night guard may be used for approximately 6 months to 2 years, depending on the degree of teeth grinding. This ultra thin custom guard is ideal for day time teeth grinding. It is thin and flexible, making it comfortable to wear and not very noticeable. You can also speak comfortably while wearing this ultra thin day time mouth guard. It is made from a thin layer of hard acrylic (approximately 1mm thick). The ultra thin guard may be used for approximately 6 months to 2 years, depending on the degree of teeth grinding. 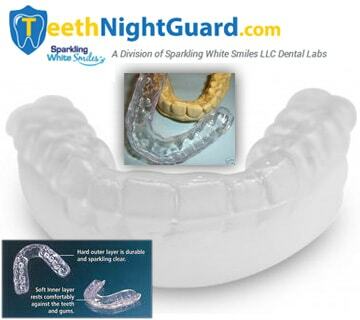 Custom night guard designed for moderate teeth grinding/bruxism. 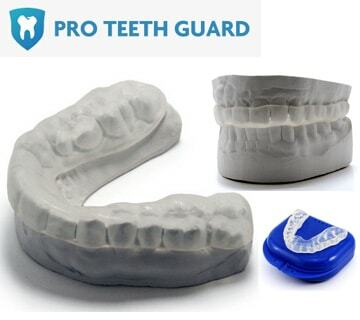 This custom night guard is made of a soft, flexible, rubbery plastic (Lifespan 6 months-3+yrs, dependent on degree of teeth grinding or bruxism). Note: Buyer must indicate whether they are requesting an upper or a lower teeth guard. 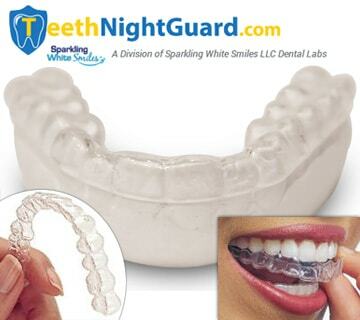 This Night Guard is made of a hard acrylic rigid plastic (like invisalign). May also be used as a day guard/retaigner. (Lifespan 2-5+yrs, dependent on degree of teeth grinding or bruxism). Note: Buyer must indicate whether they are requesting an upper or a lower teeth guard.